Police are seeking a man who allegedly followed a woman through a Target store last week and took pictures from underneath her skirt, police said Thursday. On Sept. 27, at about 6:40 p.m., officers responded to the Target store at 2220 Bridgepoint Parkway for a report of a suspicious man. Loss prevention personnel at the store told police that a man was seen surveillance video taking pictures from underneath a woman's dress. Officers searched for the suspect but were unsuccessful, according to police. After reviewing surveillance video, officers confirmed that the suspect had targeted the victim and followed her through the store. At one point, the woman bent over and the suspect quickly ran up from behind and took a picture under her dress and then walked out of the store, police said. 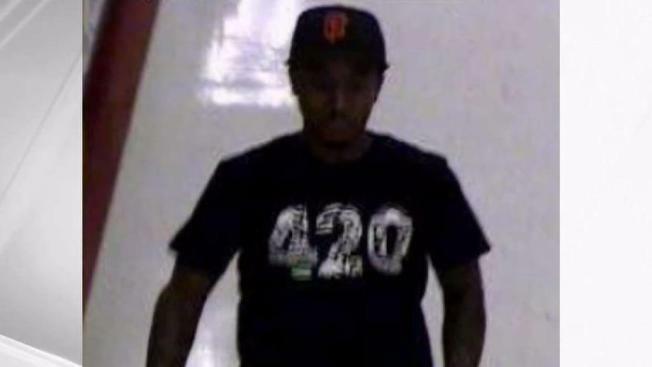 The man was described as a black man, possibly between 20 and 30 years old, wearing a black San Francisco Giants hat with an orange logo, a black T-shirt with "420" written in white across the chest and dark pants. The suspect also appeared to have tattoos on both arms, according to police. Anyone with information about the suspect is asked to contact San Mateo police at (650) 522-7700 or the secret witness line at (650) 522-7676.